Podcast: Clifford & Kidd "Models"
Here's a comedy sketch from this week's Sound of Young America broadcast, written & performed by Los Angeles' Clifford & Kidd. This week, it's a classic Sound of Young America -- our original Holiday Special. Hear John Waters, Christopher Moore, Davy Rothbart of Found Magazine and more on this show. It's the holidays, and that can mean only one thing: HOLIDAY SPECIAL! On this year's holiday special, we talk with Paul Feig. 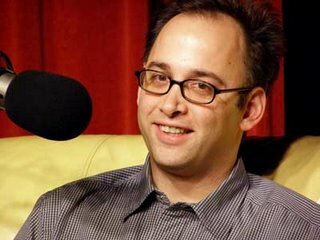 He's not just the creator of Freaks & Geeks and author of two hilarious books, he's also the director of the new film "Unaccompanied Minors." We also feature segments with Mike Birbiglia and Kasper Hauser. Also, comedy & music from H. Jon Benjamin, The Martian Children's Choir, Tom Lehrer, The Polyphonic Spree, Jonathan Coulton and more. Last month, The Sound of Young America recorded two broadcasts live at the PIT in New York City. This is the first of those programs. Heather Lawless kicked things off with some of her unique and hilarious standup. She talked about what she does and doesn't like about herself and others and related issues. How exciting to see someone who's really doing something new, and is so f'ing great at it. 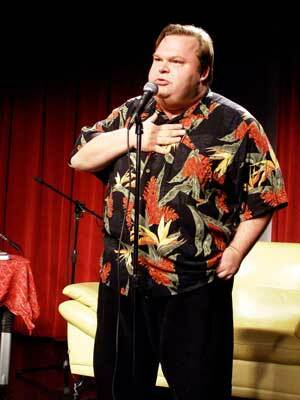 Then Mike Daisey blew everyone away with his sometimes terrifying, sometimes hilarious monologue about what children do in winter when they live in the snow-bound state of Maine. Then I talked with David Wain, who complained bitterly about the lights in his eyes (they were a bit bright). Later, we chatted about making his new movie The Ten, which premiers at Sundance January 19th and features Movie Stars like Jessica Alba and Winona Ryder, as well as Comedy Stars like every single member of The State. 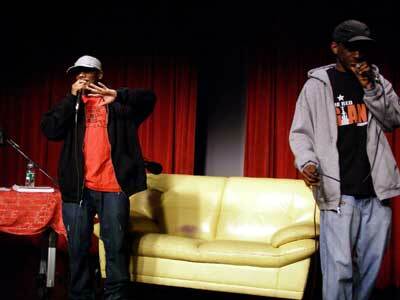 The hip-hop group Tanya Morgan (Donwill, left and Von Pea, right) rocked the public-radio-comedy-nerd crowd to an astonishing extent. Admittedly, though, when they were having people make fists, I was the only one doing it at first. This week on The Sound of Young America, a new New Yorker and an New Yorker of long standing. First we talk with Roz Chast, long-time New Yorker cartoonist. Her cartoons have now been compiled into a stately tome called "Theories of Everything: Selected, Collected and Health Inspected Cartoons 1978-2006." Then a chat with Saturday Night Live's Bill Hader. He talks about how he got the gig after Lorne Michaels came to see him perform in a Southern California backyard, and what it's like to be the new guy at one of television comedy's most revered institutions. He's a TSOYA listener, by the way. 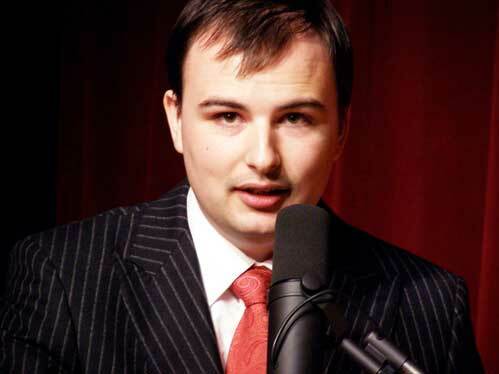 Be sure to check out our bonus audio for discussion of his upcoming movie projects, which involve Michael Cera of Arrested Development, the folks behind Reno 911 and Mr. Show's Bob Odenkirk, among others. Then we speak with Terry Gilliam. Since his days as a member of Monty Python's Flying Circus, he's directed many acclaimed films, including "Brazil," "Time Bandits," "The Fisher King," and "Fear & Loathing in Las Vegas." His most recent film, "Tideland," a dark and disturbing fairy tale, is in theaters now.